Code Club Aotearoa, Digital Natives Academy and 21C Skills Lab will be able to help young Kiwis explore their digital futures even more, thanks to partnerships with Spark Foundation, as FutureFive NZ reports. Spark Foundation is the charitable arm of Spark New Zealand and every year the Foundation provides a grant to community social good organisations that focus on digital enablement and education. Code Club Aotearoa is a network of coding clubs for kids between ages 9 and 13. It teaches them computer programming and software design. Code Cloud Aotearoa general manager Michael Trengrove says the network can now provide more courses to under-represented communities. 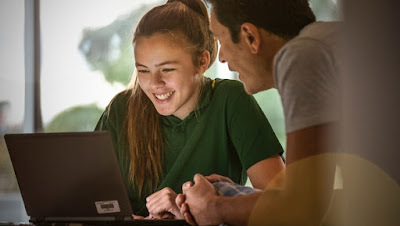 “More kiwi kids than ever will now have the opportunity to learn the digital skills that can lift them to take their place as digital citizens in a globally connected world,” Trengrove says. 21C Skills Lab is taking a different approach: It will work with the Spark Foundation to bring the Like A Boss (L.A.B) programme to 30 secondary schools across the country. L.A.B will help students build their own people or planet focused business and develop 21C skills along the way. Each student is given $20 of startup capital and the tools to create, launch and operate their own venture. Spark Foundation lead Kate Thomas says no young New Zealander should be left behind in the digital world.